No need to wait. 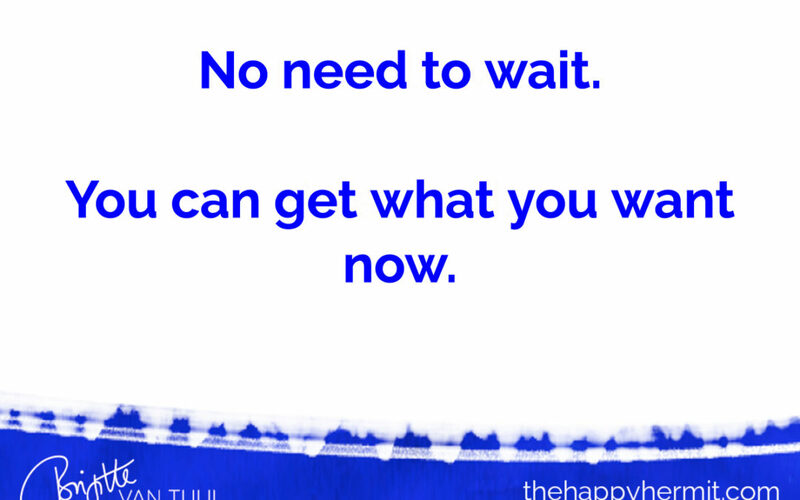 You can have what you want now. You can get clients now. You can attract money now. You can attract ideas, solutions, and opportunities now. There’s nothing you have to do first. There’s nothing you have to learn first. There’s nothing you need to have first. There’s nothing you need to be first. There’s no need to wait for anything to happen FIRST. Whatever you need to get clients / attract money / or anything else you desire, is within your reach right here, right now. You can take the first step, or the next step, right now. Whatever you have, can do, and know right now is ALL that you need right now. Do what you can right now, and that’s ALWAYS enough.